Average: CHF, AUD, CAD. The preferred range is from 3 to 5. 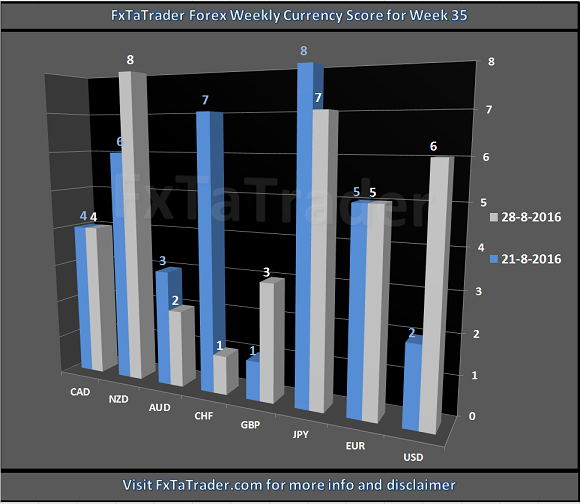 When comparing the 3 months Currency Classification with the recent Currency Score, as provided in the image above, we can determine the deviations. 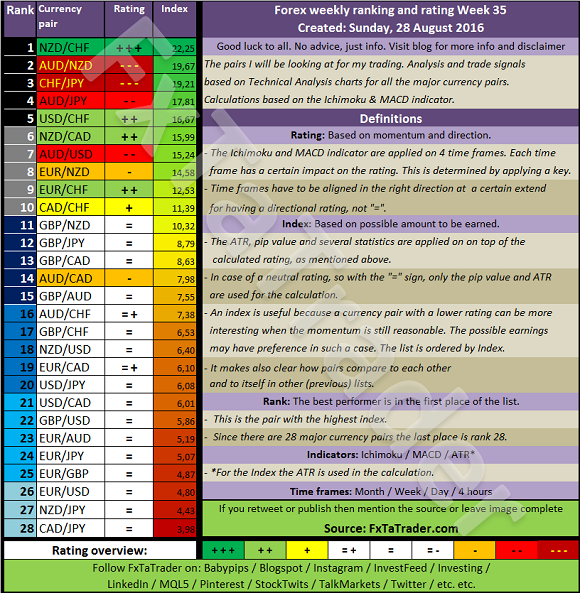 In the article "Forex Strength and Comparison" this is analyzed in more detail. Currencies with a high deviation seem less interesting to trade because they are less predictable. These currencies are at the moment e.g. the EUR and the CHF. Unless these currencies offer a clear opportunity based on the longer term they are avoided.